Whether he knows it or not, Super Bowl Sunday will bring the biggest interview of Nick Foles’ life. With the season-ending injury to Eagles Quarterback, Carson Wentz, Nick Foles surpassed all expectations, and has led the Philadelphia Eagles to the Super Bowl. Getting there and surpassing expectations has obviously been a good look for Foles, but what happens on February 4th, 2018, will most certainly tell us what to expect for Nick Foles’ future, money and all. We already know the Eagles will have Carson Wentz as their starting QB when he is able to return from a torn ACL and ruptured LCL, and Wentz is confident he’ll be back for the beginning of the 2018 season, but one thing is certain; the Eagles won’t be able to pay both Wentz and Foles. 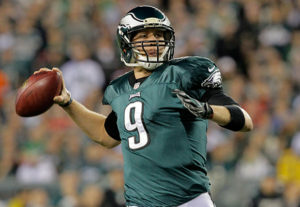 That means Foles will be traded, but for just how much? On Super Bowl Sunday, the world will be watching, including every single owner and general manager in the NFL. They will watch every single possession for the Eagles, and will be evaluating Foles’ every move. 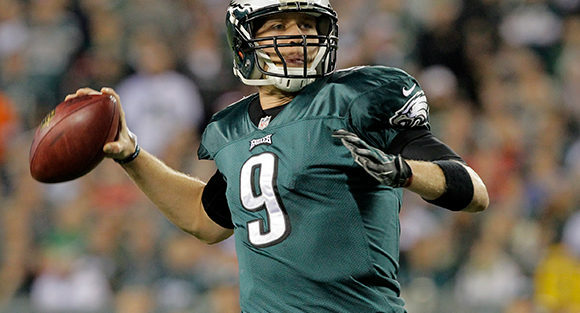 At 29 years old, Foles has played for 3 teams, including two separate stints with the Eagles. In 6 seasons, Foles has accumulated only 49 games, attempted 1,386 passes, and completed 833 of them, for a completion percentage of 60%. He has thrown 61 touchdowns, and thrown 29 interceptions. This season he’s thrown 5 touchdowns and been intercepted twice. This postseason, though he’s led the Eagles well, and hasn’t caused anything to disrupt them, he’s actually only thrown 3 touchdowns, which all came in the NFC Championship win over the Minnesota Vikings. But, he has yet to throw an interception this postseason (2 games). All of that adds up to Foles ultimately allowing the Eagles defense to flourish, and what has ultimately led them to the Super Bowl. Sadly for Foles, you beat the Patriots by establishing a ground game, and continuously pounding their defense. That’s not to say Foles won’t throw any touchdowns, but it is to say that the ground game will be the safest method for the Eagles to stand a chance against the Patriots. But if Foles doesn’t cause any turnovers, and can actually lead the Eagles to a Super Bowl victory, Nick Foles will be strongly sought after, and it all starts with his on-field performance on Super Bowl Sunday! What do you think? Will Nick Foles lead the Eagles to victory, or will the Patriots win the Super Bowl? Let us know! Will Nick Foles lead the Eagles over the Patriots in the Super Bowl?